"James Cameron is the best film director of the decade".. "Huh?!" the questions filled with shocks inside my head. It's popped out like an atomic bomb in Hiroshima. Do you think he is? After lots of awards being brought back by Avatar, the movie considered as overrated to me. What so special about it? A visual feast besides showings Neytiri's 3D "boobies". 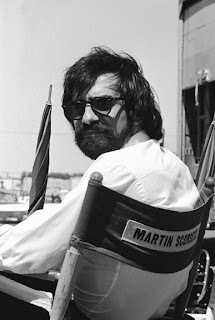 Here, i try to calculate mind-thinking of the best movie director/producer alive, Martin Scorcese. Ask Leo Di Caprio, or any A-List actors or actresses in the world, they will or might say, i want to be in Scorcese's film. His being a great influenced by many young director, producers. Even Tarantino's admit that he love Scorcese's film. Scorsese is known for his work on films including "The Age of Innocence," "The Departed," "Gangs of New York," "Casino", "Taxi Driver" and the controversial "The Last Temptation of Christ." Most of his movies became controversial and most of the critics says that his movie a true movie for art-film makes. A philosphy of film making will be described in every details of his films. Scorcese like trying to explore human-mind. That's why most of his movies not being put on top 10 highest box-office movie in the world. Most of movie-goers will find out his movie more into heavy-drama, or the film of a thinker. It's not only for entertainment, but for mental-explosion as well. For example, a Taxi Driver (1976), i watched this in the 80's during elementary school day in Dunhill Double slots on TV2 (that time being called Rangkaian 2). It explores the psychological madness within an obsessed, twisted, inarticulate, lonely, anti-hero cab driver and war vet (De Niro), who misdirectedly lashes out with frustrated anger and power like an exploding time bomb at the world that has alienated him. His assaultive unhinging is first paired with a longing to connect with a blonde goddess office worker, and then with an attempt to rescue/liberate a young 12-year old prostitute named Iris from her predatory pimp "Sport" and her tawdry, streetwalking life. The film was nominated for four Academy Awards nominations (without recognition for director Scorsese, screenwriter Paul Schrader, or cinematographer Michael Chapman): Best Picture, Best Actor (Robert De Niro), Best Supporting Actress (Jodie Foster), and Best Original Score (Bernard Herrmann). Tell you, if i'm the actor, i'll go acting to a director like this. Can't wait for his next movie Shutter Island that will be release this February, 19 2010. What if Avatar being directed by Martin Scorcese? Can you imagine that? It must be artful and psycho (LOL). But wait, here the official trailer for Shutter Island.